Darius McCollum has been called the world’s most notorious transit thief. 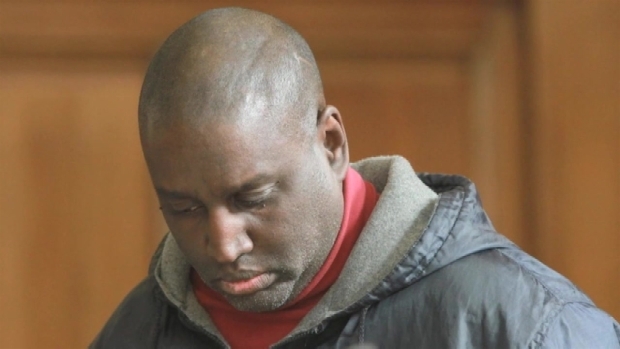 The 50-year-old admits he’s stolen New York City subways, buses and even trains, including Amtrak, Metro-North and LIRR. He’s currently being held on Rikers for allegedly stealing an empty Greyhound bus in November, driving it to Brooklyn. In his first TV interview ever, McCollum told the I-Team’s Sarah Wallace that he wished he could stop stealing vehicles but does so compulsively. McCollum, who has been diagnosed with Asperger’s syndrome, said that every time he does swipe a vehicle, he gets a rush. “What goes through my mind is the enjoyment, the thrill, the satisfaction to do it, and do it better than other people,” he said. That feeling has led to 30 arrests in 35 years. Every time he gets out of prison, security alerts are posted in mass transit hubs. He first exploded into the national headlines in 1981 at age 15, he was arrested after driving an in-service E subway train for several stops. McCollum said it wasn’t the first time he’d illegally operated a train – he’d been doing it since he was 12 – but it was just the first time he was caught. He said he saw the subway as a safe haven. At 12, McCollum said he was stabbed by a fellow student at school and decided to retreat underground. Transit workers took him in and eventually let him start taking their shifts, off the books. A 50-year-old man who has been arrested more than two dozen times for crimes that include piloting a subway train, stealing a bus and donning uniforms to pose as a conductor is being held without bail after his latest arrest, and his attorney says there are better options for the man who has autism. Marc Santia has more. Forensic specialist Ray Cusicanqui, who has assessed and treated McCollum for 20 years, said the infamous thief usually stops stealing when his life his stable, but acts out during times of stress and anxiety. When McCollum was accused of stealing the bus 3 months ago, he was about to lose his housing and down to his last $15. His attorney, Sally Butler, claims McCollum has a mental disorder that should be adequately treated with therapy and medication and that prison is not the answer. McCollum is the subject of an upcoming documentary by that name, “Off the Rails,” directed by California-based filmmaker Adam Irving. McCollum said he hopes people understand that his intention was never to hurt anyone. Darius McCollum, a man with a long criminal history, was arrested for stealing a Greyhound bus from the Port Authority Bus Terminal this week, but some legal experts say it's counseling he needs, not a prison sentence. Marc Santia reports. Read more here. “I want people to understand that I’m a man with a problem. I want people to understand that I need help with my problems, ”he told the I-Team. McCollum will be back in court next month. His attorney is hoping to get him moved to mental health court in Brooklyn. Otherwise, there’s a good chance he will go back to prison for a very long time. A spokesman for the Brooklyn DA’s office says they have not received an official request for mental health court, adding there must be a diagnosis of a documented mental illness for a case to be referred.